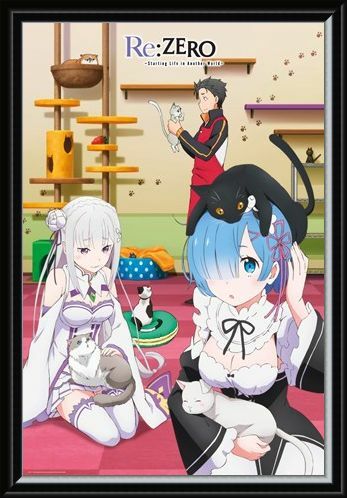 With one perched on the top of Rem's head, the RE: Zero gang are surrounded by feline friends! 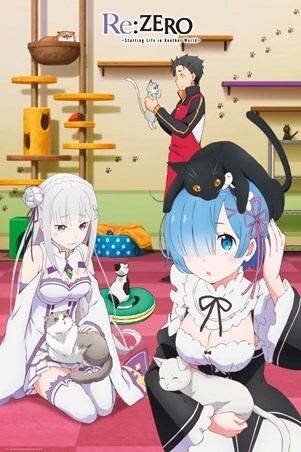 With the gifted gamer Natsuki being won over by a cute kitty, and silver-haired Emilia feeling relaxed, the trio are taking a break from their hands-on lives. 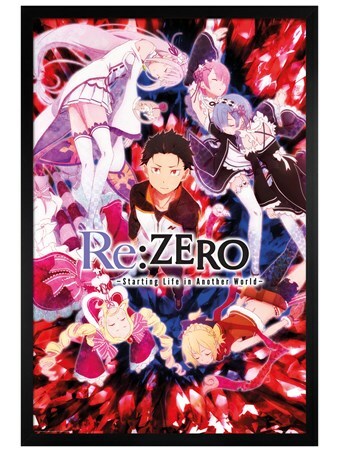 If you're a die-hard Re:Zero fan, this poster is sure to be a great addition to your collection. High quality, framed Starting Life in Another World, Re Zero Cats poster with a bespoke frame by our custom framing service.